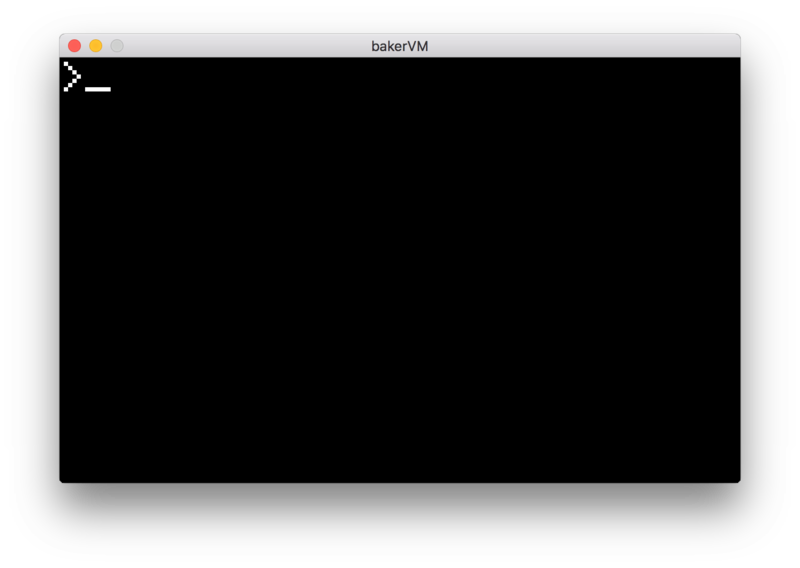 The bakerVM is a virtual machine that executes bakerVM bytecode. A builder-like compiler backend for the vm can be found in definitions/image_builder.rs. NOTE THAT THIS SOFTWARE IS STILL UNDER HEAVY DEVELOPMENT AND IN NO WAY STABLE OR COMPLETE. After the installation, you should have the following binaries installed: bakervm and hudson. hudson is the bakervm toolkit. It is currently only able to compile *.basm files.